Putin 'underwear' painting removed Jump to media player Police in Russia have confiscated a painting of the Russian president and prime minister in women's underwear from an art gallery in the city of St Petersburg. 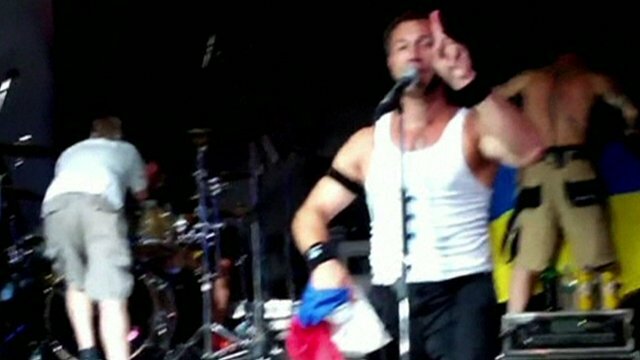 Russia bans rockers over flag stunt Jump to media player US rock group Bloodhound Gang has been banned from a Russian music festival after a band member stuffed the Russian flag into his underpants on stage. 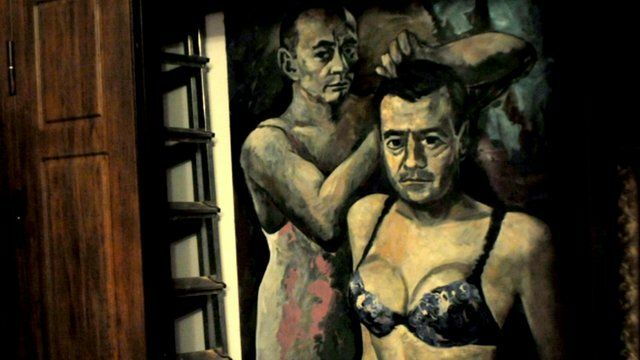 Police in Russia have confiscated a painting of Russian President Vladimir Putin and Prime Minister Dmitry Medvedev in women's underwear from an art gallery in the city of St Petersburg. The artwork depicts President Putin combing the hair of the prime minister. The gallery owner said he had been given no formal warrant or explanation for the removal of the paintings.